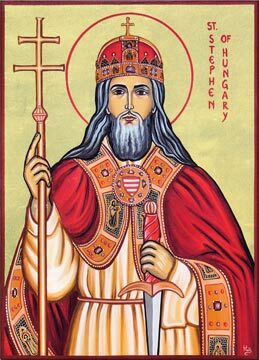 St. Stephen of Hungary Catholic Church: Weekly Announcements: February 21st 2016 A.D.
Weekly Announcements: February 21st 2016 A.D. 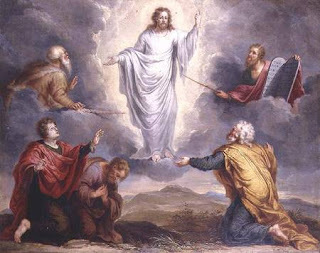 This coming Sunday, February 21st 2016 A.D. is the 2nd Sunday of Lent. Please see the upcoming Mass schedule and announcements below. Schola members: please arrive by 9:30am for rehearsal on Feb. 14th. *N.B. 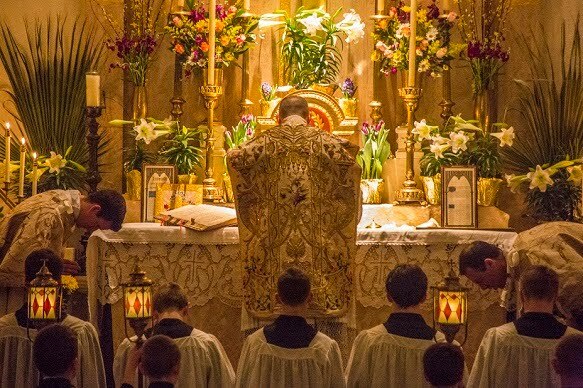 : The Traditional Latin Mass will be offered at St. Stephen's on all Mondays during Lent at 12:10pm. We're very grateful to our priests who will be coming each week to offer this Mass. Please consider making attending this extra Mass part of your Lenten practice. Men and boys of the parish are invited to serve for Holy Mass. Please see Mr. Ted Heffner (or call at 610-797-6327) for more information regarding schedules and training. Please join the parish for a hot drink and snack in the social hall, downstairs after Mass. This will resume every week as an important way to stay connected to each other. Please bring a snack to share keeping in mind that during Lent some people are cutting back on sweets. Consider bringing fruit, veggies, nuts, crackers, or cheese. Also, please remember to invite visitors to join the fun. If you attend the Traditional Latin Mass at St. Stephen's, you should make sure you are registered with the Lehigh Valley Latin Mass Community within the parish to receive updates like our newsletter and to be counted as part of the "stable group" constituted under the provisions of Pope Benedict XVI's motu proprio Summorum Pontificum at St. Stephen's. Click on this link for the online registration form. If you or any of your children would like to receive the Sacraments according to the Traditional Rite, please make sure you're registered at St. Stephen's and contact Fr. Schoenauer at the Cathedral Rectory at 610-433-6461 to request this along with any required preparation. Please remember in your prayers the soul of Fr. Zambelli's grandmother who passed away this week. Msgr. Alfred Schlert, Vicar General of the Diocese of Allentown will be the guest homilist at this Mass.